Living in Arizona, it may seem like owning a pool is a must. Owning a pool is a big addition to your home, and can increase your home’s value by $20,000 on average. 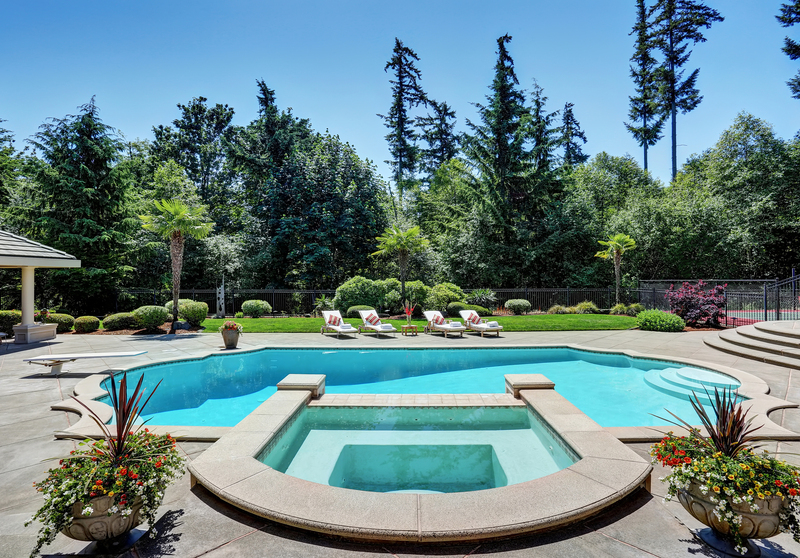 Being in an area that offers, a pool can be a great investment. Fortunately, there are some highly recommended pool builders in Mesa that can meet your goals for your pool project. Expert pool builders in Mesa should work with you, and help you meet what you’re looking for in a pool. You should first do research, and be ready to describe in detail exactly what it is you hope to achieve with the project. Having images or an inspiration board can help convey in detail what exactly you’re in search of. If there are certain features you want, such as a diving board or a waterfall, be sure to make that known! Your Mesa pool builder will then come up with a layout that fits the space you are working with while considering your custom designs. Don’t forget the details, either. Minute details, such as the color of accent tiling you use in your pool, can make or break a project. Borders, decking, and coping offer their own advantages and disadvantages beyond aesthetics. Your pool should be something that you love and that you want to enjoy every day! Perhaps you feel as though your pool design needs updating. Or, perhaps your pool truly needs a redesign due to other factors, such as lack of maintenance. Regardless, pool builders in Mesa should be able to help with your remodel. Whether you are looking for a drastic alteration or a few minor changes, you should easily be able to remodel your pool so that it continues to be something you love and are proud of. Basic changes to your pool can be made, such as updating the waterline tile. Deck resurfacing can update the look of your pool. You can also look into efficient pool pumps, which can pay for themselves in a few short years due to the energy savings it offers. There are also practical additions that can be make, such as an automatic leveler. With the Arizona heat, evaporation tends to be a problem for pool owners. Installing an automatic leveler can cut down on your maintenance time, giving you more time to enjoy your pool. An automatic level will fill or level off the water in your pool after it drops below a certain level. Salt water pools have also been increasing in popularity, which too tend to reduce maintenance on your pool due to the natural chlorine process. There are many modern updates that can be made to your pool and surrounding areas to refresh the look and maximize what your pool has to offer. Pool builders in Mesa should be able to landscape the surrounding area when completing your pool project. Many pool builders are full-service companies, and can work with you to install landscaping that complements your home. Expert landscapers should be able to provide value while completing your project. They should be concerned with the overall layout of your backyard, implementing a design that best utilizes your space. They will be able to add plants, trees, and flowers that will thrive in the Arizona sun, while also considering your personal preferences. They should also be concerned about practicality, and should provide a design that offers drainage, patios, and seating areas that will allow you to enjoy your new pool. You should factor landscaping into your budget. Having a new swimming pool in a barren backyard defeats the purpose. You and your pool builder should both take pride in the project. Not only will your pool be ready for the summer months, but there is important legislation that may soon be lifted. Senate Bill 1116 would life the progress payment schedule that currently exists when building a pool in Arizona. The law, as it currently is, protects you from having to pay large deposits up front. Pool builders in Mesa can only collect a $1,000 deposit when the contract is signed, 30% at excavation, and the last 10% before plastering. The pool builders of Mesa oppose this legislation being lifted. The legislation, as it currently exists, protects consumers, and establishes a standard for contractors. If you are looking to build a pool in Mesa, there is no better time than the present to break ground! Contact your trusted pool builder today to schedule a consultation and begin building the outdoor paradise of your dreams.